A Senate committee earlier voted to approve Brett Kavanaugh's nomination to the top US court. As a result, a full Senate vote on Judge Kavanaugh's confirmation has been delayed for up to a week. Despite ordering the FBI investigation, President Trump has continued to defend Judge Kavanaugh. 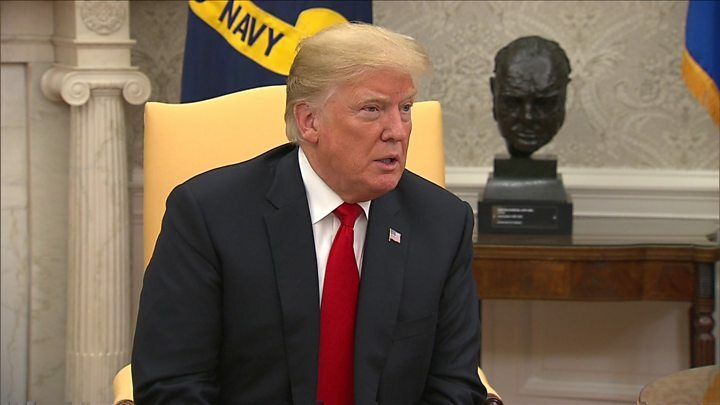 Announcing the move on Friday, President Trump said: "I've ordered the FBI to conduct a supplemental investigation to update Judge Kavanaugh's file. As the Senate has requested, this update must be limited in scope and completed in less than one week." The inquiry will involve the FBI reopening its previously completed background check on Judge Kavanaugh. This might mean going back to old witnesses - or speaking to new ones. Mr Judge's lawyer Barbara Van Gelder said: "If the FBI or any law enforcement agency requests Mr Judge's co-operation, he will answer any and all questions posed to him." Responding to President Trump's statement, Judge Kavanaugh said "I've done everything they have requested and will continue to co-operate". 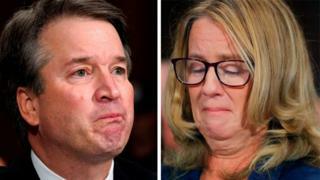 Dr Ford's lawyer, Debra Katz, said her client welcomed the step but questioned the time limit of a week. "A thorough FBI investigation is critical to developing all the relevant facts... No artificial limits as to time or scope should be imposed on this investigation." Democrats accused the 11 Republicans of attempting to rush the process, while Republicans countered that the 10 Democrats were using the allegations against Judge Kavanaugh in an attempt to delay - and ultimately block - the conservative judge from joining the Supreme Court. 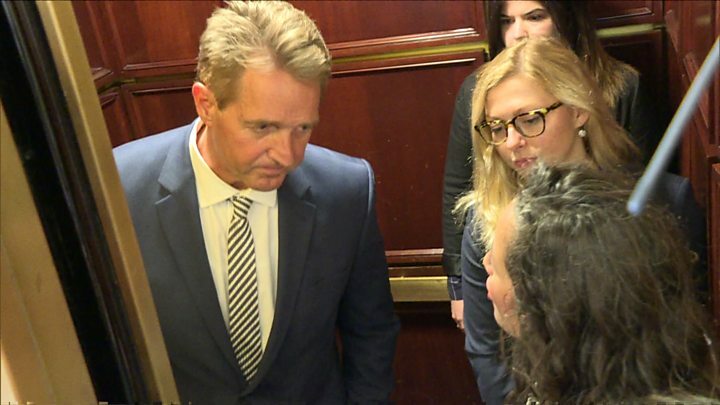 Arizona Republican Jeff Flake told the committee that he would back the motion to send Judge Kavanaugh's nomination for a full vote on the Senate floor - but would not support his confirmation in the Senate without the additional FBI inquiry. After the vote, the committee said it was requesting that Mr Trump order an additional background investigation "limited to current credible allegations against the nominee and must be completed no later than one week from today". Judge Kavanaugh's appointment could tilt the balance in favour of conservatives for years to come. Republicans control the Senate by a narrow 51-49 majority. Without the support of Mr Flake and one other Republican senator - and assuming all Democrats vote against - the confirmation of Judge Kavanaugh cannot occur.